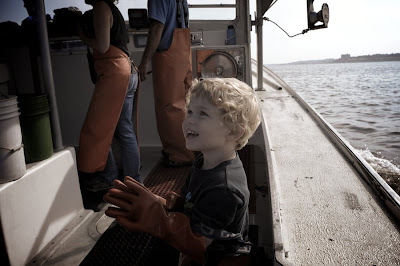 on one of our last days in Maine, we joined some new found friends on the lobster boat The Lucky Catch. it was the perfect boat ride for owen. 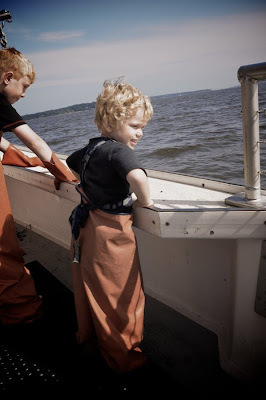 not only were we on a boat, something that owen asked for constantly, but there was so much to do that he never got bored. 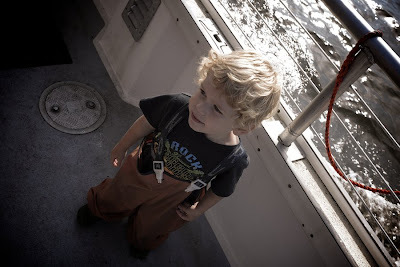 owen was able to bait the traps as well as put the rubber bands on the lobster claws and then push the traps overboard. he had such a great time!